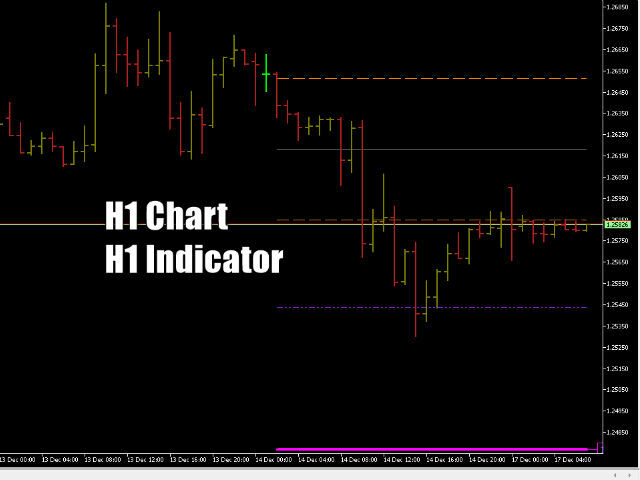 TimeFrame : The timeframe of the indicator. 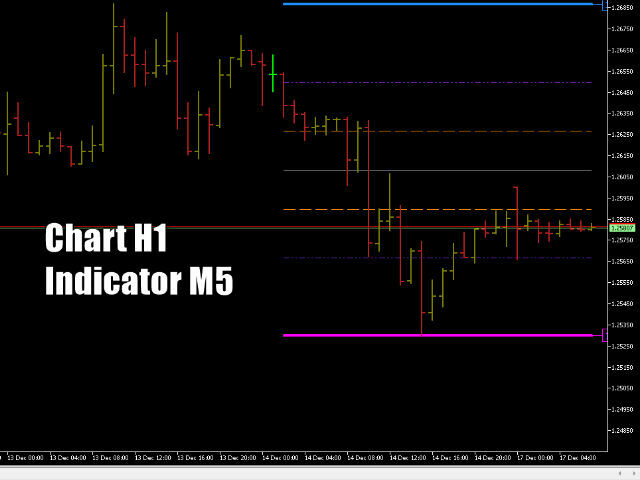 It can be same, higher or lower than the charts timeframe. 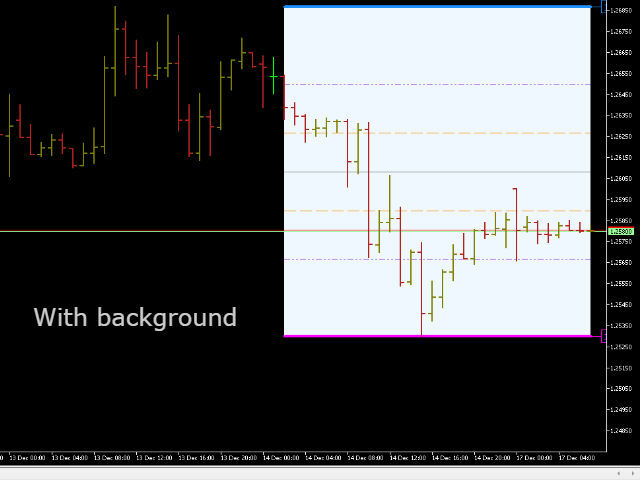 When using lower TF on higher TF chart, it is recommended to have a high lookback bars number. Lookback Bars : The only most important parameter. The highs and the lows will be based on this many bars. Line Length : This is purely cosmetic. It is the width of the line. Background Color : Again purely cosmetic. You may want to highlight the zone. - Added Direction buffer. 1 Means low was recently reached. 2 Means high was recently reached.